Speaking of new clothes, cheering me up on this gloomy October day, (where has the year gone by the way?!) is this wonderful skirt from the Glamorous A/W collection. 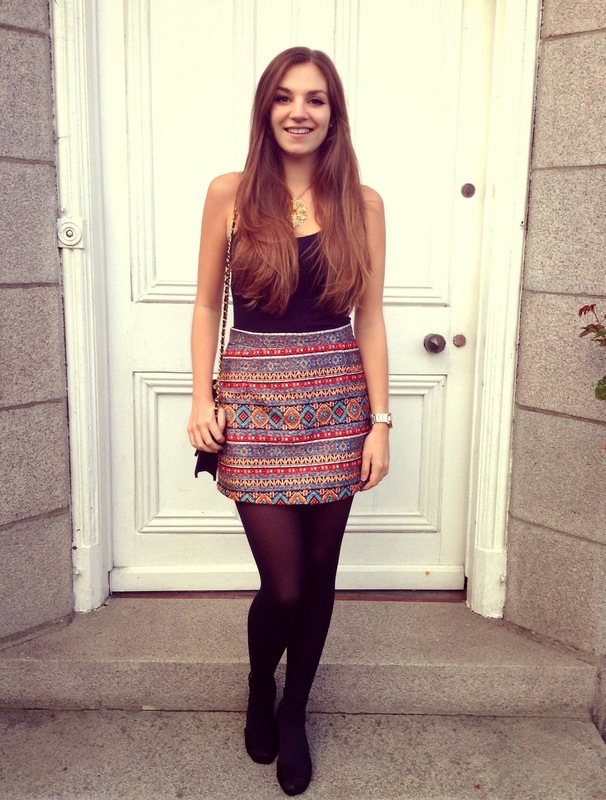 I had a serious fangirl skirt moment when I saw this aztec beauty online, isn't it gorgeous? Although I love it, unfortunately it is quite short, and so I have to apologise to anyone I may flash when I sit down. But honestly this skirt is so pretty, I'll take a little embarrassment any day! It's become the perfect addition to my wardrobe this season, as it is made from warm cord-like material, which I plan on wearing with many, many layers so that it can still be worn in the thick of winter! Looking lovely in that skirt. Love the skirt and the necklace. Very cute look! Gorgeous skirt! You look lovely as ever. I'm a huge fan on aztec print! Love your skirt! So chic! Love the pattern on the skirt and the necklace is so unique. Such a fun look. You look beautiful :) Nice look! Cioa Helen, I love your skirt!!!!! In love with your style! Oh em gee. Lovely skirt and necklace Helen! I love that fun skirt and statement necklace! what a cute outfit! I really love your skirt! 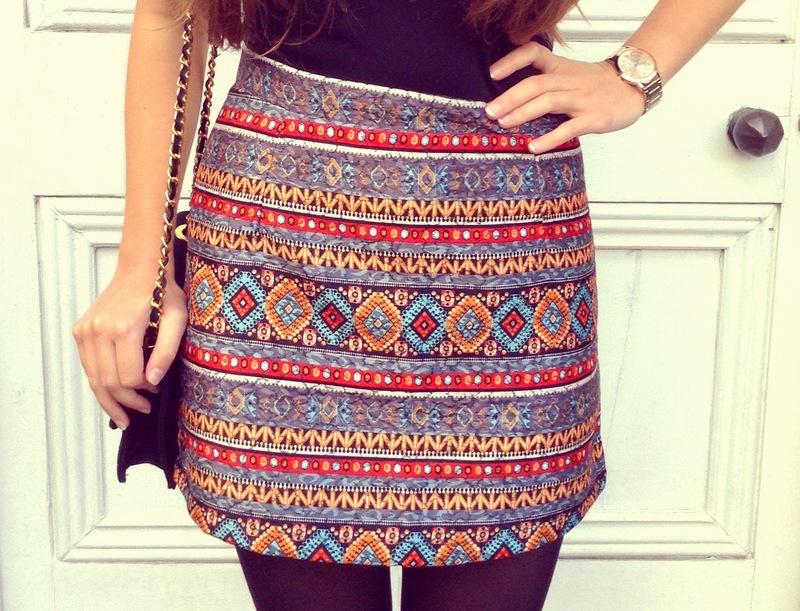 I'd love to be able to pull that skirt off myself, the colors are so beautiful on that Aztec print! Yay for starting your masters! You're right, the skirt is so great. It looks really nice on you. This skirt is soooo pretty! :) I love it! Oh wow what a very cute look - the skirt is totally the eye catcher in this look!!! Love the skirt! The necklace is eye catching! I love that pattern on your skirt! Love the skirt, you dress so beautifully! Wow this is such a pretty outfit!! I love your skirt and bag especially ;) you look great!! What a gorgeous pattern, you look amazing! Ohh, I love that skirt! SUCH a nice skirt, been looking for one like this for ages! That skirt is very pretty! oh dear! you look amazing! you write such an interesting blog! tell me how about follow each other? Your skirt looks great, but my favourite part is your bag, it's so classy! That skirt is beautiful! It's just perfect! very cute and girly outfit! Lovely outfit, that skirt is beautiful! I adore the print! Lovely outfit! The skirt is so cute! I love that skirt and your beautiful hair. Your blog is amazing, you've got a new follower!! Love this mini, such a fun and pretty piece! 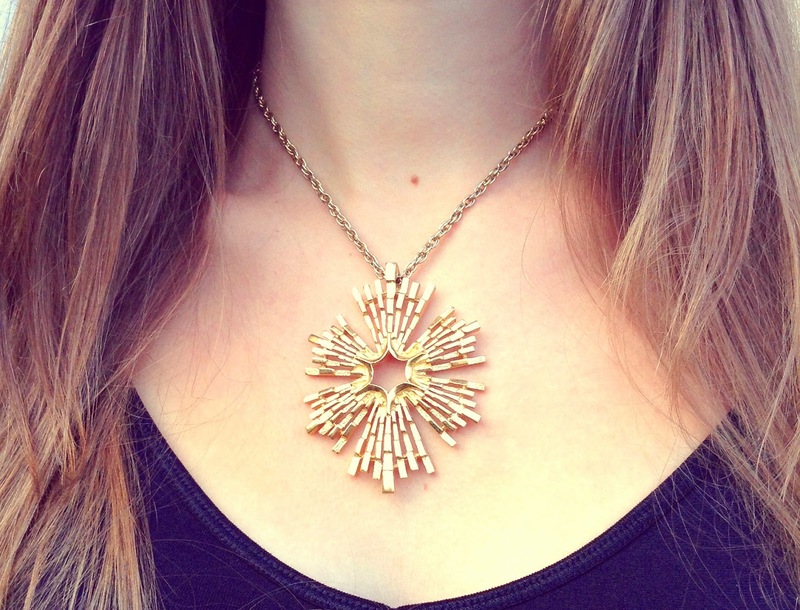 you look so cute in the bright mini, and your necklace is stunning! Loving the skirt so much! It's just beautiful. And that necklace... sigh, a perfect combination. Your going to convince me to go out and start shopping! cutie! love the print of the skirt! Looks gorgeous on you! I love the idea of layering, I love dressing for the colder weather. Good luck with your masters, it's my second year now of masters & blogging so I know exactly how you feel! So difficult to juggle at times but remember to enjoy it & don't stress out, if you need to take a break, take it. Don't forget priorities too! Btw. first time to your blog..and i LOVE it!! <3 Just followed you! Love the skirt and necklace! Absolutely love this skirt!! Its so nice and looks like such a staple piece paired with a simple outfit! That skirt is lovely! I would die for your figure. Wehh! Hey! Nice skirt! It looks amazing on you! This skirt is absolutely gorgeous, you look amazing. Always a good idea in my books ;o) love that skirt! That skirt! I am in love! This outfit would be perfect with a leather jacket for a colder day. Super cute skirt!! love the necklace!! kisses!! Lovely necklace! Wow!! I should grab it for myself!! love this skirt so much! if you want we can follow each other. follow me and I'll follow back. 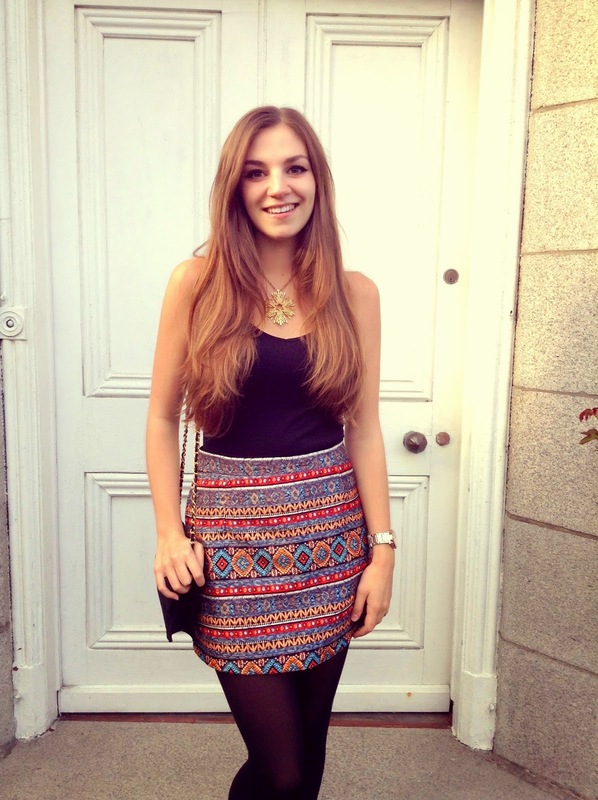 You're gorgeous, I've been looking at blogs for way too long today and haven't seen a skirt like that! Such a great skirt, I love the statement necklace too! So pretty. That skirt is so fabulous! You look super duper pretty. And I wish I had that skirt and necklace. The best! I would love exploring and staying updated with your blog. Following you via GFC, G+ and Bloglovin. Do add me back <3 And do stay in touch! You look so pretty as always :D I love the skirt! Such a gorgeous fall look! Love this skirt. The skirt is gorgeous! I love the necklace too! You are so chic and stylish fashion girl! I love this look, so classy and beautiful! Great pictures!